Perhaps the greatest challenge performing endodontic treatment is to consistently find, follow, and secure any given canal to its terminus. Glide path management requires flawless execution, which may be defined as the ability to perform a task in a prescribed manner. Negotiating and securing canals with small-sized manual files requires a mechanical strategy, skillful touch, patience, and desire. A small-sized hand file is initially used to scout, expand, and refine the internal walls of the canal. 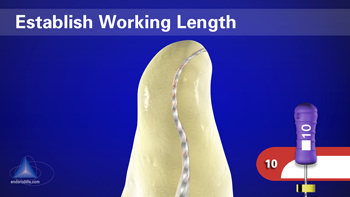 Once the canal can be manually reproduced, a manual or dedicated mechanical glide path file may be used to expand the working width in preparation for shaping procedures. 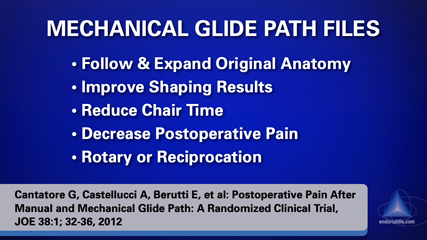 ProGlider is a single-file, single-use glide path file. 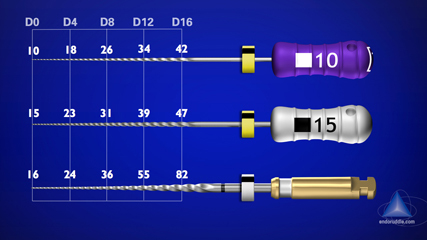 With M-wire metallurgy and increasing tapers from 2% to over 8% along its active portion, pre-shaping canals has never been safer, faster and easier. 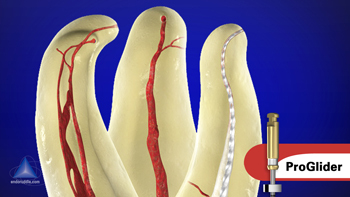 M-wire has been shown to significantly improve flexibility and provide a 400% greater resistance to cyclic fatigue. A progressively tapered design over the active portion of a single file reduces the potential for taper lock and the dangerous screw effect. Because of its design, metallurgy, and unique movement, ProGlider cuts a safer, faster and more fully tapered pathway to length compared to a fixed tapered stainless steel size 15 hand file. NOTE: The ProGlider file has a diameter of 0.16 mm at D0 and 0.82 mm at D16. Compare these dimensions to fixed tapered, commercially available dedicated glide path files that provide 0.32 mm taper over 16 mm of length. Any alternative mechanical glide path file that has D0 tip diameters of 0.13 mm, 0.15 mm, 0.17 mm, or 0.19 mm will have D16 diameters of 0.45 mm, 0.47 mm, 0.49 mm, and 0.51 mm, respectively.